I don’t really understand the concept of comfort food. Nothing that requires a trip to the supermarket and/or actual cooking could provide me with any real comfort. However, I do have some sense of what it might mean in terms of a musical diet. I’m not talking about ‘guilty pleasures’ here. I never feel guilty about the music I like. This is macaroni and cheese music, reliable old stuff that doesn’t challenge but does satisfy. It might not change your life but it reminds you of just how good it can be. For me, Glam is comfort music. There is no more reliable record in my collection than The Slider by T Rex. It’s not my favourite album by any stretch and I wouldn’t even call myself a huge fan of the band. But when I’ve had a bad day, there’s nothing like that opening riff to Metal Guru. I’m slightly too young to recall glam as such but I was around for it. Maybe it was on in the background, maybe it was Suzi Quatro on Happy Days. I’m not sure but I feel as though it represents something fundamental to me as far as rock and roll goes. I was, thus, very keen to read Simon Reynolds’ new book on the matter, Shock and Awe. This is, arguably, the first major study of the genre. There are other books on the subject. Philip Auslander’s Performing Glam Rock: Gender and Theatricality in Pop Music is a thoughtful take on it and Dandies in the Underworld by Alwyn Turner is an informative, if brief, account too. However, the Simon Reynolds treatment is of another order altogether. He has previously written on hip hop, nostalgia, post punk, and rave. He is not simply a fan with flare. All of his work mixes critical theory with extensive research. This isn’t rock and roll, this is serious! He begins with Marc Bolan, the dreamy ex Mod whose reinvention as an acoustic Syd Barrett in Tyrannosaurus Rex is one starting point for the glam genre. Another is Beau Brummel, the Regency clothes horse who shined his shoes with champagne. There is also Oscar Wilde whose paradoxical (were they?) pronouncements on superficiality read like a mission statement for the period. Reynolds also looks into the etymology of the term ‘glam’ which is, of course, short for glamour. The word was originally associated with magic and the occult. David Bowie fans will know that Aleister Crowley is mentioned by name in the song, Quicksand. Glam famously revives the 50s and to a lesser extent, the 20s. I would add the Blavatsky scented 1890s too. But back to Tyrannosaurus Rex. The funny thing about this duo – Bolan and Steve Peregrine Took (replaced by Mickey Finn on the fourth album) – is that, although they sound like a freak folk band, folk music isn’t at the heart of the sound. It’s something else. Yes, it’s rockabilly. I know it’s a stretch but look at two of the song titles on the first album. Hot Rod Mama, Mustang Ford. It’s a bit hard to imagine The Incredible String Band doing songs about classic American cars, isn’t it? I suppose this is an important point for me because it defines what I love about Glam music. It’s beautiful, simple, rock and roll. Glam is not prog or psychedelia though it has some aspects of both. It is closer in spirit, if not always in sound, to 1950s style rock and roll. It redefines it, speeds it up, slows it down and adds crazy chords to it. But the greasy stuff is still the point of reference. The anxiety is in the influence of Eddie Cochran and Gene Vincent rather than the glam practitioners’ immediate predecessors, Hendrix et al. Fifties rock and roll is there if you look for it. The Cat Crept In by the lesser known band Mud comes to mind immediately. Suzi Quatro, who Reynolds contextualizes very well here, is another example. David Essex’s Rock On, T Rex’s I like to Boogie, and Drivin’ Sister by Mott the Hoople are other possibilities. In fact, Mott The Hoople’s metamusical commentaries like All The Way From Memphis and The Golden Age of Rock and Roll all reference the early period of the music. It’s worth remembering too that Bowie claimed Ziggy Stardust was inspired by a conversation with Vince Taylor, the English rocker best known for the original Brand New Cadillac. So what was going on in the early 70s? Musically speaking, a lot of stuff, including prog, singer song writers, country rock, boogie rock, art rock, hard rock, soft rock and so on. As the punk year of 1976 drew closer it became increasingly clear that the centre couldn’t hold. A whole bunch of bands and genres were going to be swept away. So goodbye Foghat. I’d be happy to argue about this over a Guinness but I think glam was punk in the womb. The term punk rock was being batted around in the early seventies to describe everyone from Bruce Springsteen – a huge influence on Bowie’s post Ziggy period incidentally – to Alice Cooper, a band that gets a fair bit of space in Reynolds’ book. If punk was a rejection of the sixties’ values, it seems to me that they had already been comprehensively rejected by Bowie, Bolan, Ian Hunter, not to mention Lou Reed, Iggy Pop, and The New York Dolls. That’s what my book about glam might look like. Simon Reynolds has a slightly different take. He doesn’t deny the clear line from glam to punk but he is far more interested in the journey from glam to post punk. I really enjoyed reading this book but I wasn’t always with him when he was talking about the music itself. What I like about Bowie’s Ziggy period is Mick Ronson’s guitar playing. I hear great rock and roll, Reynolds hears string arrangements. They are both there so it is a matter of taste, I guess. As with his earlier book Rip It Up and Start Again, he seems to be primarily interested in the non rock and roll influences and elements in popular music. In that book, he seemed to be suggesting that a lot of high concept early eighties bands were somehow more exciting than the punk bands that preceded them. To each his own, but for those of us who were teenagers when pretentious ‘post punk’ was evolving into banal ‘new wave,’ 1977-style punk sounded pretty good. Similarly in Shock and Awe, Reynolds sees glam as part of a long tradition that stretches back to old Hollywood and reaches up to Lady Gaga. I don’t dispute this but, for me, it’s the killer riffs and the sheer three chord fun of it that makes it my comfort music. Slade, who Reynolds rightly suggests have been unfairly forgotten, are wonderful purveyors of power pop. They don’t have to be anything more. The Sweet are The Monkees of glam but at their best are a joyful reminder of good times and warm summer evenings. Reynolds’ book must be read. It is well researched, beautifully written, and comes from the heart. Despite my misgivings about his approach to Bowie’s music, I believe he has written the definitive account of the man’s early career. Glam, like many musical genres, is difficult to define and impossible to date. This book will challenge your ideas about the period and the artists mentioned. It will get you listening to some albums you may not have heard. I’m now stuck on Cockney Rebel’s first two records. You might start listening to Alice Cooper again for the first time since junior high. You might check out early Sparks. You might see Queen in a different light. No, really! This book is up for the Penderyn Prize. I think it will win. Teasers: If you thought you couldn’t dislike Don Henley any more, wait until you hear his views on The New York Dolls. Kiss, and in particular their drummer, are dismissed in one brutal paragraph so don’t worry, you won’t be compelled to revisit Hotter Than Hell. I feel a bit like this about Detroit. I grew up in Toronto and have only visited the Motor City once or twice but my grandmother was born there and my father often spoke about family connections in Michigan. Of course the Detroit that he visited as a child in the late 40s was a different place to the city Stuart Cosgrove describes in his new book, Detroit 67:The Year that Changed Soul. Detroit, when my dad visited, was the embodiment of the Dream as it stood in the mid 20th century. The cars, like the ambitions, were large, ornate, and obscenely comfortable. As the last of the independent automotive companies were absorbed by the big three, enormous personal wealth and top heavy management structures supplanted the creative spirit of the car industry. From the southern states came African American migrants in search of a better life and relief from Jim Crow. No one could have foreseen the next chapter and no one in 1948 would have recognized the city described in this book. Detroit 67 begins with a long section outlining the day to day activities and troubled internal relations of The Supremes. The Motown gossip is here – yes, Berry Gordy was involved with Diana Ross – but the focus is on Florence Ballard who will, in Cosgrove’s account come to embody, not only the move by Motown Records towards a more corporate model, but also the decline of Detroit itself. The story then shifts rather abruptly to John Sinclair and the beginnings of the MC5. The connection, at first, seems tenuous. Sinclair hated Motown, though he had once shopped in Gordy’s unsuccessful record store for obscure jazz sides. The MC5 were about as far removed from The Supremes as would be possible in one city. Part of the challenge he has set himself in this deceptively ambitious book is to make that connection. The Supremes spent 1967 appearing on network TV, shaking hands with Lyndon Johnson, visiting Vietnam vets in hospitals, and playing Las Vegas and mainstream venues like New York’s Copacabana. 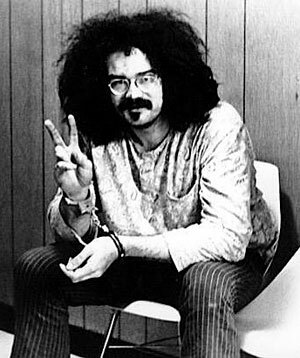 John Sinclair and the MC5, on the other hand, spent the year hounded by the police, the FBI and right wing extremists. The MC5 occasionally played on bills with lesser Motown acts but not The Supremes, of course. Berry Gordy loved duets. Imagine the Rob Tyner/Diana Ross version of It Takes Two. A missed opportunity for sure! So how does he bring it all back home? Where does The Supremes’ 1967 cross paths with John Sinclair’s? In July of that year, riots broke out in Detroit. The mainstream media referred to them as ‘race riots’. Some African American commentators said it wasn’t a riot, it was a rebellion. The sixties began in Detroit over those three days. Motown, the dominant cultural force in the city, suddenly seemed quaint and a bit naive. Luckily, for Berry Gordy, Norman Whitfield turned up to drag the record company into the new world of post JFK, post MLK, and post Hendrix at Monterey America. Sinclair and the MC5 had been political for some time but the riots seemed to lead Sinclair, at least, into the murkier world of underground radicalism, culminating in the formation of the White Panther party and the attempted bombing of a CIA office in Detroit. Berry Gordy fired Florence Ballard and was himself ‘fired’ by Holland Dozier Holland, the songwriting and production team who had spun so much gold for him. He didn’t move the whole show to LA for another five years but the writing, as they say, was on the wall for Motown’s relationship with Detroit. Like everyone else, he got the hell out of Dodge after the riots and the city was one step closer to those abandoned library photos so beloved of Facebook users. The coolest photo ever. 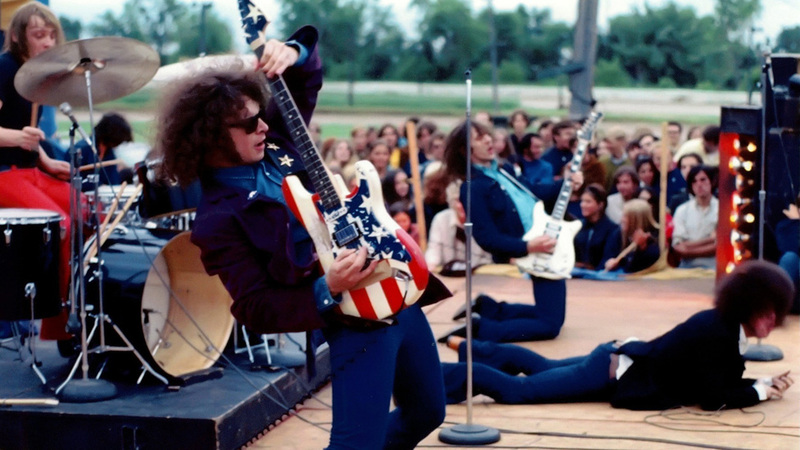 The MC5 in action. So what does it all mean? Well, to begin with, the book isn’t about Motown Records or The MC5 although there is plenty of information about both if you are curious. It isn’t really, despite the subtitle, about soul music. 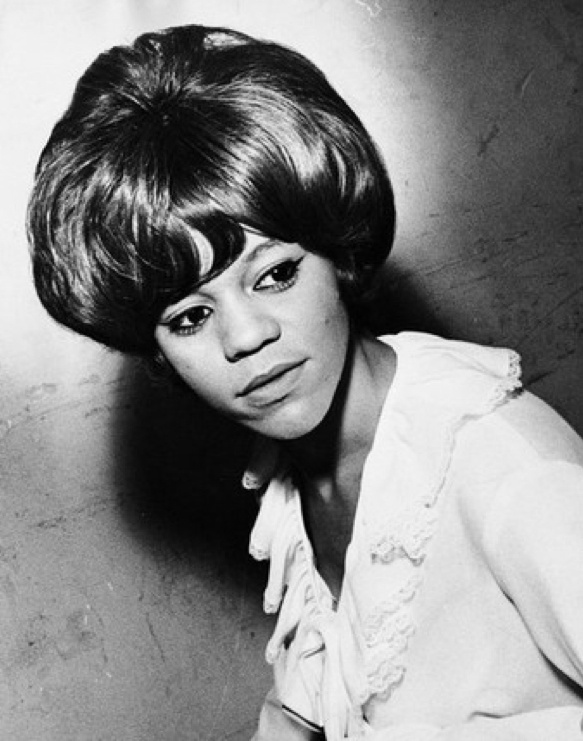 It also isn’t, as many reviewers seem to believe, about Florence Ballard or even The Supremes. No, Flo’s depressing rags to riches to rags story is a metaphor here for the year itself. Cosgrove is writing about the American Dream and her story is emblematic for a period when it began to run out of puff for most people. The riots, the Vietnam war, the increasingly grim situation for many African Americans despite the civil rights period, and the growing economic downturn that is destined to hit the working class hardest, are all contained in Flo’s sad story. Cosgrove is a stylish historian and this all works very well indeed. Detroit 67:The Year that Changed Soul is the first book in a trilogy. The next one is titled Memphis 68 and will no doubt focus on Stax Records and MLK’s assassination. Motown, known for its dreamy harmonies and occasionally syrupy lyrics, was a far darker place than Stax. Berry Gordy loved the idea that his company was like a family. Of that, there is no doubt! Particularly if the family name is Macbeth or Borgia. 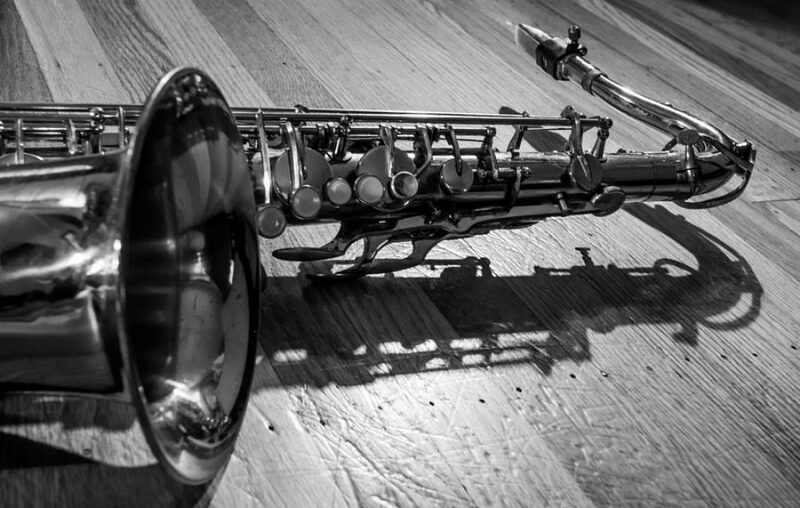 Meanwhile, at Stax, a generally happy group of performers and studio musicians produced a body of music that was anything but light. Go figure! And go read this book! Teasers: The truth about Tammi Terrell, Marvin Gaye, and David Ruffin. Finally!